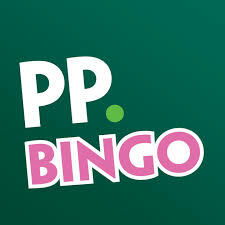 Although you might believe that Christmas is over, if you play bingo at Paddy Power Bingo it's not. Catch the tail end of the 12 Days of Christmas promotion which ends today, 6th January 2011, then you can officially say Christmas is over for another year. They have an additional £100 up for grabs at 9pm tonight in the Sapphire room. It ain't over till Paddy says it is! While you are checking out this bingo site, check out the big winners too, someone recently got very lucky, "smokieboy" walked away with a prize of £52,185. That is a life changing amount of money and a fabulous way to start a New Year. I would say that this winner got back a bit more than their Christmas shopping money! If you need just one last shot to win, play the Last Chance Saloon, this is a free scratch card – it is available for selected games and winnings are paid out in cash. Three Last Chance Saloon games play in the Sapphire Room and you will find them on a Thursday night between 8 and 11pm. They also play in the Gold Room between 9.54 am and Midnight where bingo games play on the hour, every hour. To get your one last shot to win you have to be unlucky enough not to win, then if you have purchased at least 6 tickets into the game, the scratch card pops up and you get to match your three lucky symbols. Get three "Cowboys" for the top prize of €10.00 and at the very bottom of the prize range, match three "Cactus" for only €0.10! Still €0.10 is better than nothing and certainly better than being poked in the eye with a cactus spike! New members get a free £30 bonus when they join and deposit £10, that's a 300% bonus just for joining!